View the best of the action from Vitality Stadium in 90 seconds. View the best of the action from Vitality Stadium. The best images from Saints' draw with Bournemouth. Striker confident of adding to his tally every week. Mauricio Pellegrino on Cherries point. Saints boss on the 1-1 draw away at AFC Bournemouth. Striker scores third goal in three games to equalise at Bournemouth. Saints boss talks squad depth and spirit. Get set for Saints' trip to face AFC Bournemouth in the Premier League. Saints boss on his different tactical options. Can you beat the clock in our pre-match quiz? Watch the manager preview the visit to Bournemouth. The best images from Saints' Friday training session. Watch as Saints continued to build up to Bournemouth. Saints boss looks ahead to Sunday's Premier League clash with AFC Bournemouth. Plan your trip to the Vitality Stadium. Journalist Ned Payne gives us the lowdown on the Cherries. It's all over, and the points will be shared at Dean Court. Saints probably just about edged that overall. Austin's equaliser set us up to go on and win but it finishes 1-1 here. Afobe on for Fraser. Into stoppage time now in Bournemouth. Fraser escapes in behind. The Scot's cross is deflected into the path of Jordan Ibe bur ORIOL is there to bring the ball clear. Last roll of the dice here for Saints. Gabbi is on for Davo. FORZA, MANOLO! Strong impact from the bench from Nathan Redmond. After spreading the play beautifully for Boufal moments earlier, he pops up on the edge of the box to shoot just wide of the near post. Shirt pulling earns Mario a place in the referee's book. 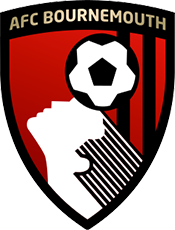 Josh King swivels and shoots, Forster saves and the rebound bounces off Callum Wilson and out for a goal kick. Not much the substitute could have done about that. Here comes Mario... he's got just over 15 minutes to help us find a winner. The one thing that has definitely improved over recent weeks is the guts #SaintsFC are now showing... keep going lads! Charlie Austin really has his eye in now. Virgil van Dijk flicks on a free-kick for the striker to nod against the crossbar with Begovic well beaten. The offside flag is raised though on the far side. Double switch for the Cherries: Ibe is also on to replace Stanislas. Callum Wilson comes on for the ineffectual Jermain Defoe. It was coming! Redmond slides it into the feet of Austin who holds his run and sweeps a shot past Begovic at the near post. YES! Bournemouth in control now at Dean Court. A spell of possession carries them up to the edge of the box where Stanislas' side-footed shot is easily saved by Forster. Intricate play in the box from Bournemouth which ends with Junior Stanislas sliding to reach Joshua King's bouncing cross at the far post. Saints survive. Boufal stands up his marker, shifts the ball and slaps a low shot into the gloves of Begovic from a tight angle. Clever invention from the Moroccan, who nearly squeezed that in the far post. Half-time switch to bring you from the Saints dugout: Nathan Redmond is on to take the place of James Ward-Prowse. Saints get us restarted here. Ryan Fraser's low finish the difference between the teams at the interval. Immediate response from Saints, just lacking the final touch. The ball is patiently spread wide to Bertrand whose precise low cross is slammed over the bar by Boufal. Cherries in front as Ryan Fraser arrives onto Drew Surman's lay-off to curl the ball under the body of Forster and into the back of the net. Charlie Daniels steps forwards from left-back and flashes a loose ball inches past the far post. James Ward-Prowse picks out Charlie at the back-post whose firm header is palmed away by Asmir Begovic. Sofiane Boufal slides towards Adam Smith in the penalty area and the Bournemouth man is shown a yellow card for simulation by referee Jon Moss. Cherries not happy. Bournemouth have edged back into this one in the past 10 minutes or so. Absolutely nothing between these two teams as we approach the midway point of the first half. Adam Smith's half-volley is directing goalwards by Jermaine Defoe on the six-yard box. The touch alters the flight path of the ball and Fraser Forster instinctively flaps a hand up to turn it over the bar. It's a stunning stop from the big man. Pied cuts inside and crosses with his left foot this time. The delivery is slightly behind the arriving Dusan Tadic and the Serbian can only loop his effort onto the roof of the net. Promising. The resulting set-piece finds the head of Virgil van Dijk who sends a thumping header inches off target. The Dutchman was completely unmarked in the middle. Saints doing all the early running here. It takes a sharp block to stop Dusan Tadic's cutback from reaching Charlie Austin as the boys in white look for a quick opener. Fraser: "Ready to go again"
"There are plenty of positives to take out of the City game. Today's is a new challenge and it will be a very different encounter. We're ready for it." Mauricio Pellegrino makes six changes to the side that lined up at the Etihad Stadium on Wednesday night. IN: Austin, Tadic, Boufal, Ward-Prowse, Pied and Davis. Begovic, Smith, Francis, Ake, Daniels; Stanislas, Cook, Surman, Fraser; King, Defoe. SUBS: Boruc, Cook, Gosling, Pugh, Ibe, Wilson, Afobe. Forster; Pied, van Dijk, Hoedt, Bertrand; Davis, Romeu; Ward-Prowse, Boufal, Tadic; Austin. SUBS: McCarthy, Yoshida, Targett, Lemina, Højbjerg, Redmond, Gabbiadini. We've got 18 Saints at the Vitality Stadium and team news coming right up. Let the games begin! All set in the away dressing room. The Saints players are due any minute now in Bournemouth and we'll be bringing you today's starting XI at around 12.30. Don't go anywhere! @SouthamptonFC Wellington, New Zealand! If you could just delay kick-off by 5 hours so I don't have to get up at 2:30am, that would be excellent. Saints visiting Bournemouth can only mean one thing: a rare appearance of the special edition third kit. Modelled dramatically here by skipper Steven Davis, the alternative jersey will be worn today after the Premier League deemed that our home and away kits clashed with the Cherries'. Southampton: Mauricio Pellegrino will be without Cédric after he was withdrawn in Manchester, while a late call will be made on Shane Long (calf). AFC Bournemouth: Eddie Howe has confirmed that Junior Stanislas could be back in his squad for Sunday's clash. The winger has been out of action since picking up an injury against Everton but that aside, he has no fresh injury concerns. it's up to us to grow as a club and become serious rivals to southampton. last season they deservedly beat us here. they have very good players and we had two great encounters with them last season." Mauricio: "Ready to play a good game"
Shall we hear from the boss? Mauricio Pellegrino is confident his side will build on Wednesday night's strong, if ultimately disappointing, showing against Manchester City in Bournemouth today. Both Saints and Cherries coming into today's game looking to get back to winning ways after a pair of 2-1 reverses during the week. Raheem Sterling's late winner decided things at the Etihad Stadium while strikes from Chris Wood and Robbie Brady condemned Bournemouth to a first PL defeat in four matches.